Parents are told they need to cut the cord and let their child fly, but cutting the cord on your window coverings when you have young kids is even more important. Seemingly harmless cords from your blinds can turn deadly if toddlers get entwined in them. October is National Window Cord Safety month. This presents an opportune time to assess the safety of your window coverings. Some styles of traditional corded window coverings are a hazard to infants and toddlers who view dangling cords as play things. These cords can cause injury and even death. Educate on choosing child-safe window coverings including: cordless blinds, wood shutters, motorized shades, and cordless cellular shades. Adding safety features to existing window coverings so you won’t have to replace your window treatments. A cost-saving alternative to buying new window coverings. Placing furniture away from windows to optimize window safety throughout the house. The new safety standards set forth by the Window Coverings Manufacturers Association (WCMA) in June 2013. 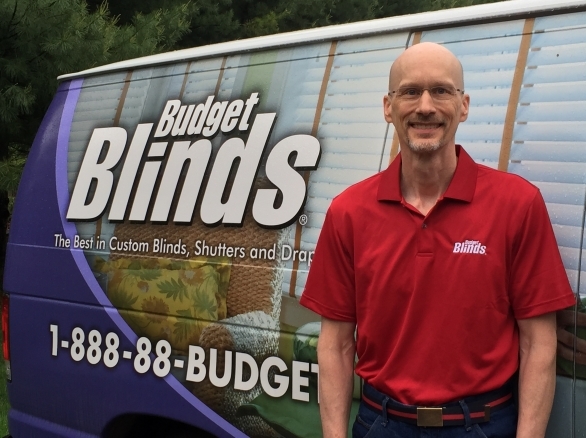 Budget Blinds offers a wide selection of cordless window treatments and can also retrofit existing window coverings that parents already have in place. All new products either meet or exceed the most recent standards of the American National Standard for Safety of Corded Window Covering Products. These new standards went into effect June 1, 2013, and Budget Blinds has worked diligently with all its manufacturing partners to ensure compliance.